Window Installation Kansas City: What Can We Do for You This Summer? Summer is officially here, and if you’re like most Kansas City residents, then you’re probably preparing for summer barbeques, family gatherings, and time spent with your friends and neighbors. 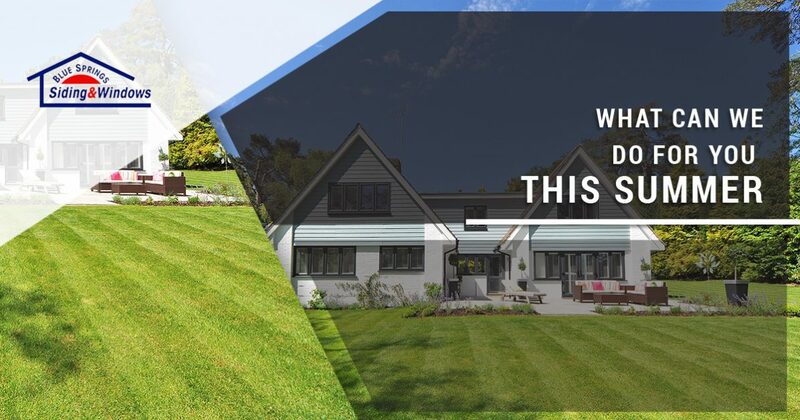 At Blue Springs Siding and Windows, we know that your busy schedule doesn’t leave you much time for home renovation projects, and that’s why we’ve made it as easy as possible to outfit your home with the windows, siding, doors, and other features you need to make the most of your living space. In today’s post, we’ll take a closer look at a few of the window, siding, and door services we offer. Blue Springs Siding and Windows proudly provides lifetime warranties on all of our products and installations. It doesn’t matter if you come to us for a single window installation or invest in door installations for every room in your home — we’ll stand behind our work for life. If you would like to learn more about any of the products and services we offer, just get in touch with us at 816-629-6270 or use our online contact form to reach out to us. With the weather warming up and the summertime flowers in full bloom, you’re probably spending more time looking out your windows and enjoying the beautiful scenery around your home. 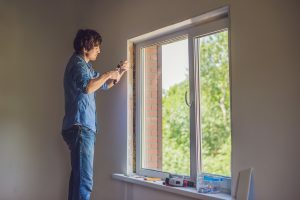 If you’re looking for a smart investment that provides you with an unbeatable view of the landscape around your home, then you should consider investing in a window installation for your home. A picture window installation, for instance, will provide you with an unobstructed view of the city skyline, your rose garden, or any other scenic area around your home. 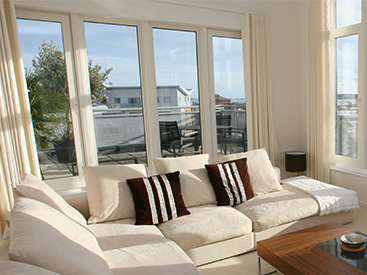 If you’re looking for something more functional, then you may want to consider a casement window installation. Casement windows provide exceptional airflow, and they can help you cool your home in the mornings and in the evenings on hot summer nights. Get in touch with us today for a window installation in Kansas City! Your home’s siding makes a first impression on anyone who pulls up to or walks by your home, and you want to be sure that the impression is a good one. Cracked or peeling siding is unsightly, and it could get you in trouble with your local homeowners’ association. While your home’s curb appeal should always be a concern — especially if you plan to sell your home in the near future — quality home siding can also save you money on your monthly energy bills. You probably already know that your home’s insulation traps warm and cool air, but did you know that your siding serves an insulating purpose as well? Cracked and worn-out siding allows air to flow in and out of your home unobstructed, and you’ll probably find that a siding installation lowers your monthly energy bill by several dollars. While it may not seem like much, small savings add up over months and years. At Blue Springs Siding and Windows, we have a number of home siding options that can provide your home with the protection and insulation it deserves. 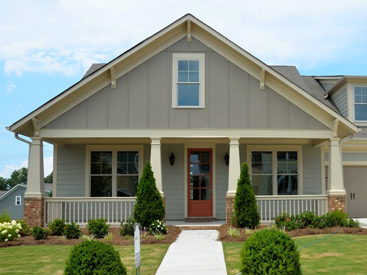 We proudly carry James Hardie siding, one of the top brands in the siding industry. You can view our siding installation options on our website, or you can come by our showroom in Blue Springs to view our selection of siding colors. With the cold days of winter long behind us, you’re probably finding yourself spending more and more time outside enjoying the sunshine and warm weather. Your patio is the perfect location for drinking coffee in the mornings and relaxing in the evenings, and it may even be the neighborhood’s go-to gathering spot when you’ve fired up the grill. We know that the patio is an important area of the home, and investing in a patio door installation is a great way to take your patio’s appearance to the next level. We have a variety of options for sliding patio doors, but we can also do anything from a French door installation to a hinged patio door installation. No matter which door installation option you choose for your patio, we guarantee that you’ll be happy with the result. We hope that this post has helped you to better understand the services and products we offer here at Blue Springs Siding and Windows. Keep an eye on our blog page for future posts in which we’ll continue to highlight the services we offer. If you would like to see our products for yourself, or if you would like to request more information about a specific product, then you should visit our windows and siding showroom in Blue Springs! We’re located at 2201 NW Jefferson Street, and we’re open from 9:00 a.m. until 9:00 p.m. Monday through Friday. 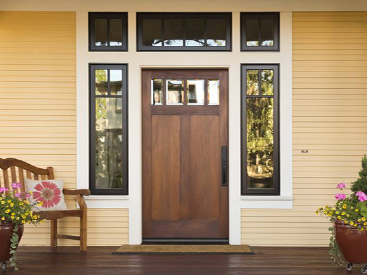 We open again on Saturdays at 9:00 a.m. and close at 7:00 p.m., and on Sundays we’re open from 9:00 a.m. until 2:00 p.m. We look forward to helping you find the perfect window, siding, or door for your home!